McNulty, Lenihan, Murray, D Dennehy, Dunleavy (c), Kearney, Healy, Buckley, G Morrissey, B Dennehy, Elding (O'Sullivan '65). Clarke, O'Brien, Browne, Oman, Bermingham; Byrne (Quigley â€™79), Fahey, Bolger, Lynch, Forrester; Fagan (Kavanagh '84). 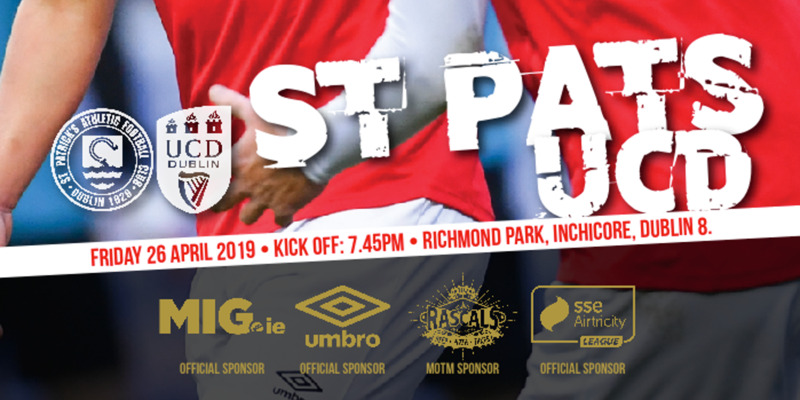 The much-anticipated SSE Airtricity League Premier Division clash of Cork City and defending champions St Patrick's Athletic ended in a 1-1 draw at a jam-packed Turner's Cross. A crowd of 5,322 enjoyed a high-tempo game between two good sides, with Gary Buckley and Christy Fagan getting on the scoresheet in either half. 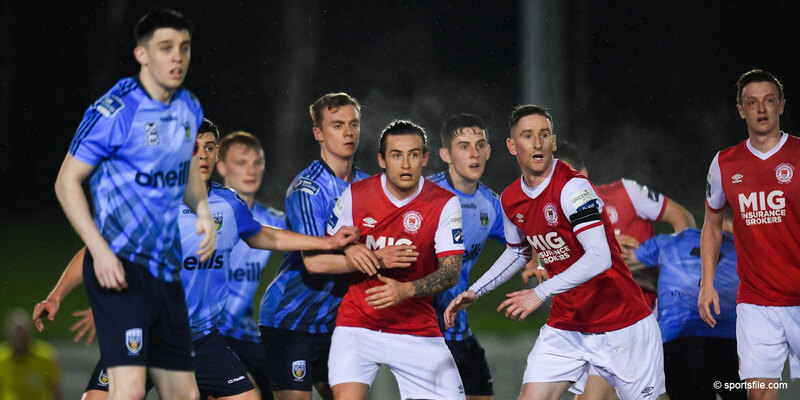 City started brightly and created a number of half-chances before midfielder Buckley headed John Caulfield's men into a deserved lead just before the break. However, the defending champions remained composed in the face of sustained pressure from the men in green and drew level with a well-taken effort from Fagan just before the hour mark. One of the game's big talking points was the dismissal of City captain John Dunleavy, who was shown red for a second yellow on 66 minutes, as referee Padraigh Sutton displayed his yellow card on no less than eight occasions during a game that was intense but never aggressive. With a huge partisan home crowd behind them, City were out of the block quickly - Elding on the receiving end of a decent low cross from Billy Dennehy with 12 minutes on the clock. However, though the front man got down to meet the Kerryman's ball, he failed to direct his header on target. It was the Saints' turn to challenge next - Conan Byrne and Fagan combining superbly to set Chris Forrester free in the City box. The ball had too much pace though and fizzed out of play before the Pat's dangerman could make any meaningful contact. Healy was next to try his luck - firing a well-struck effort past Clarke's right-hand post, before a fine move from the home team saw Liam Kearney and Elding break down the left before supplying an excellent ball inside for the incoming Buckley. The midfielder, however, was inches away from contact. Oman cleared danger from the feet of Elding with five minutes to half time, before the breakthrough finally came on 42 minutes. Dunleavy met Healy's corner, which Oman cleared off the line - but only as far as Buckley, who headed home from close range. Forrester still had time for another attempt - just before the interval - but his final touch saw the ball drift well off target. Billy Dennehy was first into the referee's book in the second half - the fifth man in green to see yellow - but though the hosts created several half chances, it was the defending champions that hit the back of the net just short of the hour mark. Fagan, who caused problems all night for the Leesiders, got in between Murray and Darren Dennehy at the back and poked home Bolger's pinpoint cross from the right. Fahey had another chance to test his set piece radar on 62 minutes - but fired his effort straight into the City wall - and Fagan was again involved on 64 minutes when he found Forrester with a delightful ball. The Pat's number 17 had more time than he thought though, and blazed over Mark McNulty's bar before realising just how much space he had found. 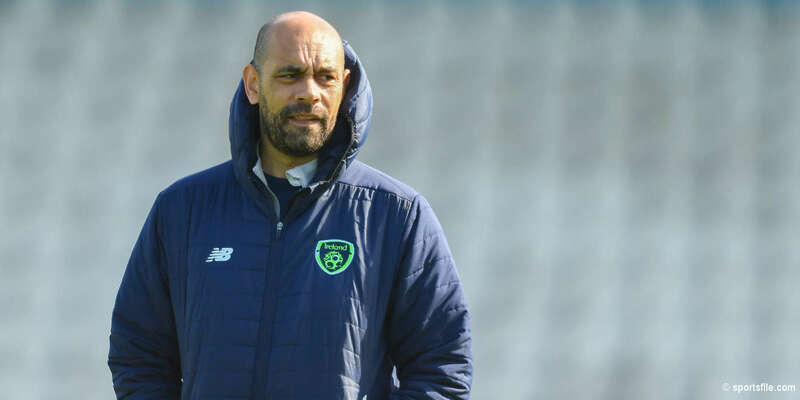 The fixture's big talking point happened two minutes later - Dunleavy, booked midway through the first half, was shown a second yellow for a late tackle on Ger O'Brien and Sutton quickly reached for his red card after flashing yellow. Despite the blow, City pressed for another goal initially and spurned a gilt-edged opportunity on 76 minutes when a lovely cross from Kearney in from the left had both Buckley and O'Sullivan battling to make contact - the end result: an easy, powerless ball for Clarke to gather. Oman's challenge on Gearoid Morrissey with five minutes remaining presented Billy Dennehy with another opportunity to threaten Clarke's goal. His effort sailed over well over though, and the points were rightly shared.